It doesn’t matter if you are grilling over charcoal or gas… if you want to make your cookouts rock then you need to master some basic skills first. 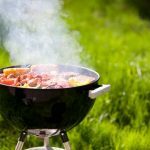 I have seen many people who love to grill but just don’t know how so I figured I would take some time to talk about some things that can help them go from an amateur to a grill master. Keep in mind that these are only 5 things that you can improve on but there are many more. After you start getting the hang of things you will learn more and more techniques that you can use, but for now let’s just start with some basics. If you have a charcoal grill and use lighter fluid to get it going then you are probably not going to agree with me here. The truth is though that lighter fluid gives your food a sort of chemical taste and if you did not use it you would notice an increase in flavor in everything that you cook. 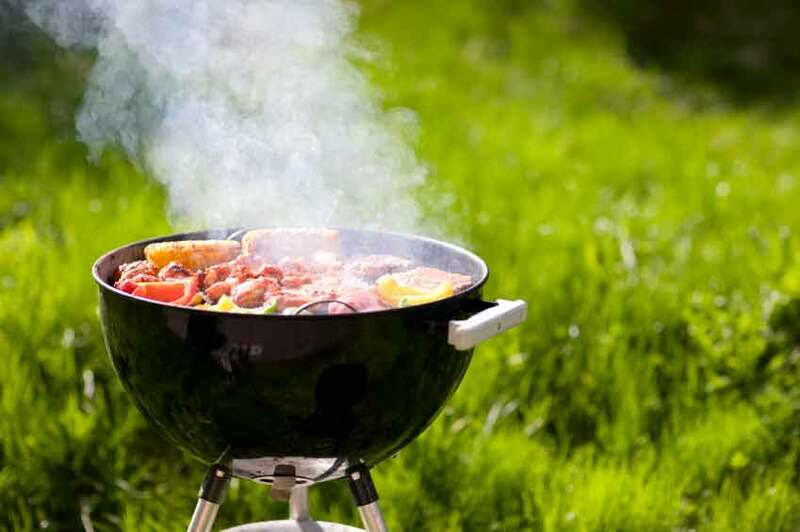 Instead try using a chimney starter to light your grill. These are really cheap and can save you a lot of money in lighter fluid over the course of a year so they are definitely worth the investment. I find that this gadget is an essential tool for any avid griller and the coals get hotter and cook food much better thus making you look and feel more like the grill master you are. This is very important because without a clean grill surface to cook on, food will stick to it and it will make it harder to flip things like burgers and chicken. You also won’t get the great looking grill marks on your meat that you would with a clean grill grate. This is an easy fix though and one that can make your food really stand out. To clean your grill properly you just have to heat up the grill surface and scrape it clean with a wire brush or grill stone. I personally like using the grill stone because I think that it cleans better, but it depends on the grill grates you are using. Just make sure that the surface is clean before you start cooking and you will look like a pro. One thing you will see many people doing is squishing down their burgers as they grill them. This is a bad thing to do as you can imagine because it lets all the juices escape the meat and get burned up by the flames. Not only does this make a burger dryer then a piece of old shoe leather, but it also causes flare ups which can char your meat and make it look like a burnt piece of old shoe leather as well. Instead you should only flip your burger once during the cooking process and then leave it alone until it is ready to come off the grill. This works very well and will keep the juices locked in your burger which will make it taste much better. Like the above tip, poking holes in your steak is a bad move because it allows the juices to drip out instead on keeping them locked in. People usually do this with a fork or other utensil when they go to put it on the grill or flip it. You will be much better off using a set of tongs. Every griller should have tongs and a good spatula in their toolbox anyway because it helps out quite a bit and really separates the pros from the amateurs. Heat can be your best friend or your worst enemy. You can easily overcook a steak by leaving it over to high of heat for too long so you will really need to watch the heat. At the same time you will need to make sure that you have enough heat or your food will come out undercooked. There is a balance and you will have to do some experimenting to find it but once you do you will know because your food will come out just the way you want it. This article turned out to be a little longer than I expected but I hope that you got a lot out of it. There is a lot more to grilling then I mentioned here though so if you are really serious about learning to grill you may want to check out www.avidgriller.com where you will find more tips and tricks to help you out. Lately I have been cooking some great things on my Weber Genesis e-310 and I will be sharing some recipes real soon so be on the lookout for that as well. Burgers cook up into a ball? Here’s a tip to level things out plus a new way to do planking.